Great link for my chain makes cleaning easy. Works as expected for quick chain maintenance. 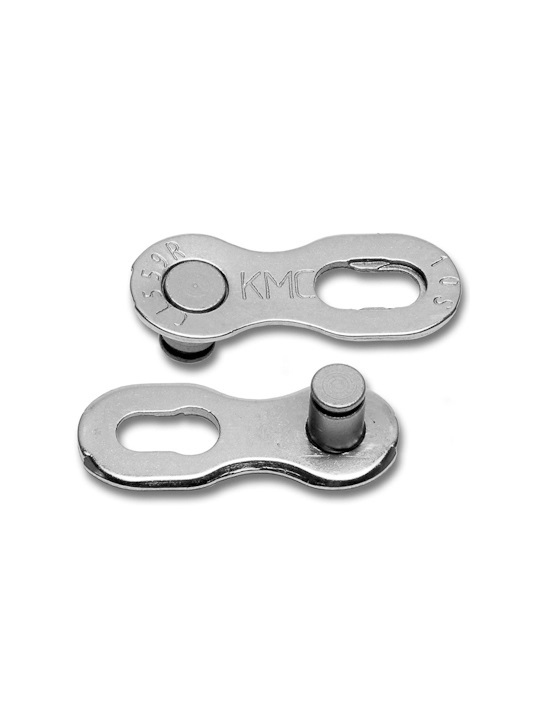 KMC components not only possess great quality, but also transmit great reliability! I think KMC missing links are the most trustworthy one. I used 9 speed. Now 10 and 11 speed, they have never let me down. Great price so I ordered three. I never want to ruin another ride being without this quick fix!! No brainer if you want to be able to pop your chain off for a deep clean. Amazing chain upgrade. Makes emergency chain repair far easier and chain removal for detail cleaning a breeze. These are great because they are reusable and can be undone by hand out on the trail or when you wash/maintain the bike. This is unlike the SRAM 10sp ones which require tools to release and are single use. I have used them on SRAM chains for years.